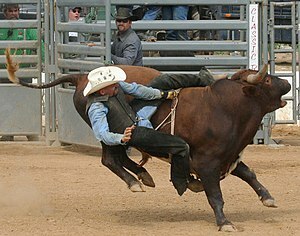 Bull riders have eight seconds to stay on their raging bull. It’s not a lot of time, but I’m sure to the rider it can seem like an eternity. Research says that 50% of web surfers spend eight seconds on each page that they’re looking at before deciding whether or not to read on. If you have a web-site or blog, that’s all the time you have to grab someone’s attention and encourage them read more. It’s also about the length of time that it takes for an audience to form an opinion of a public speaker. They’re judging their attire, their voice, their body language and their confidence levels. Even before the speaker has said a word a judgement has been made as to whether or not the speaker is worth listening to. It’s about the length of time that you have to make a first impression to a stranger. Your smile, eye contact, handshake and that first greeting. If you have a job interview or a sales pitch or are looking to increase your level of influence, this period of time can make or break you. What are you doing with yours. I am praying inside and grinning like a fool and firmly clasping hands, is what I am doing! Did I mention humming a little “zippity-doo-dah” under my breath, Darren? Nice one, thanks for commenting.